Come along and learn the basic techniques of African Drumming in this fun and energising group experience. 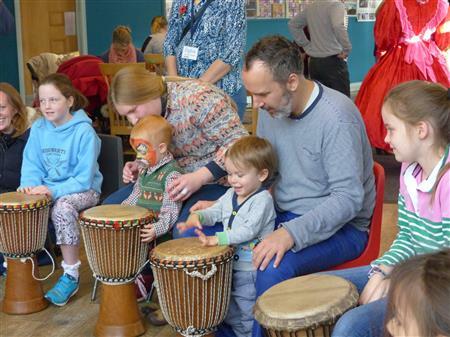 Led by Justine Hart, the sessions offer quality tuition and loads of fun primarily using the West African djembe. Every Tuesday for five weeks, we offer two, hour long sessions.